MIT's admissions officers are involved with all aspects of the recruitment process. Meet the team. The bloggers include current students, admissions officers, alums and guests who have a lot to say. Check us out! Facebook is a place for friends. Friends like us. Come hang out, chat and share with fellow prospective students. Still need more of MIT in your life? Follow us on Instagram @mitadmissions! Sometimes you just need to see a place to decide if it's right for you. Tim doesn't actually deliver mail, but imagine if he did! You don't have to be at MIT to take classes at MIT. Check out our courses on edX, MIT OpenCourseWare, MITx and iTunesU. To not-admitted applicants and anyone who knows anything about fuses. 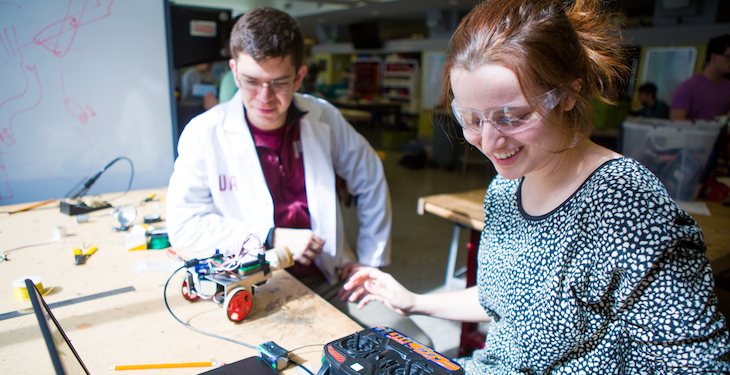 MIT will give you more than just an engineering degree. This is probably the most valuable entry ever written... not kidding. Bookmark it. Class of 2011, you're welcome.